Bob Dylan, the legendary snarling musician, has been awarded the Nobel Prize for Literature, the Swedish Academy announced this morning. The honor was given to him “for having created new poetic expressions within the great American song tradition.” As The New York Times notes, he’s the first American to receive the Nobel since 1993, when Toni Morrison won. 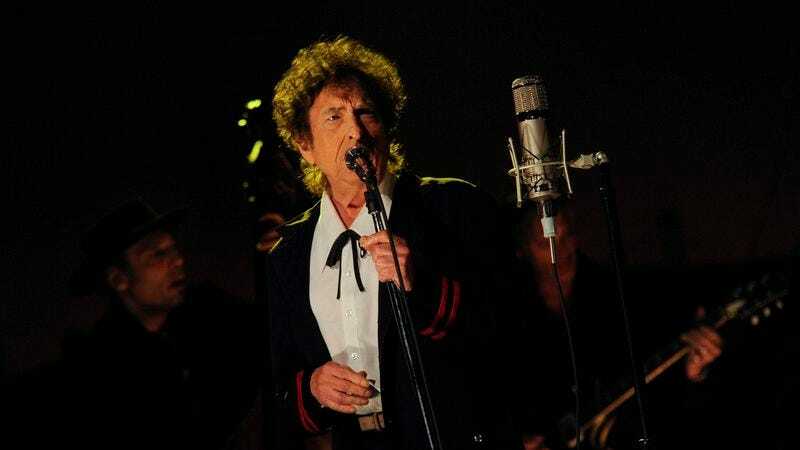 Dylan’s extensive resume probably doesn’t need regurgitation, beginning with his transition from Robert Zimmerman to folk hero, author of songs such as “The Times They Are a-Changin,’” “Blowin’ In The Wind,” and “Like A Rolling Stone,” to name just a few. His lyrics have been published in tomes, and in 2004 he released the first installment of his memoirs, Chronicles: Volume One. Mind you, that year he also starred in a Victoria’s Secret ad. Now, how many Nobel Prize winners have done that? Dylan can add the Nobel to his haul that includes some Grammys, an Oscar, and the Presidential Medal Of Freedom.